Gael García Bernal is the love of my life, and not just because of his face. I’m deeper than that. 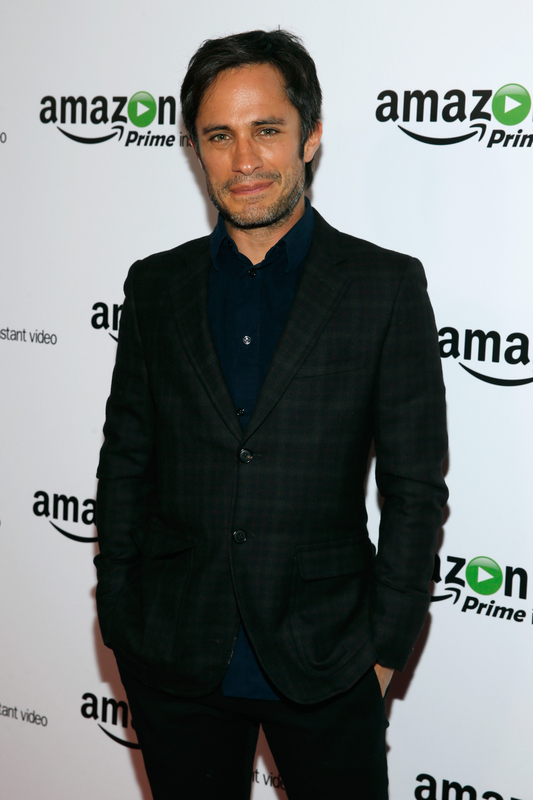 The 37-year-old Mexican actor is nominated for a Golden Globe for his role the Amazon series Mozart In The Jungle, and rumor has it he could be a favorite to take the category. But is Gael García Bernal dating any particular (extremely blessed) lady who will be walking down the red carpet with him come the Globes on Jan. 10? It's honestly hard to say if Bernal is single, but all signs point to... maybe? The actor is frustratingly private about his love life. Not that he doesn’t deserve the privacy, I’m just nosy and want to know if someone is making him happy. In 2014, he split with his longtime partner Dolores Fonzi, an Argentinian actress who he had been with since 2008. It was a heartbreaking split for me personally, but Bernal has always had poetic and non-traditional views about monogamy. The couple has two children together, Lázaro and Libertad. While it doesn't seem like Bernal has coupled up with any women since Fonzi, at least not very publicly, there is one glimmering rumor. The actor has been linked to Argentine actress Belén Chavanne, who he cast in one of his short films. The Latin Times supposes that they could be a "thing." Or, at the very least, that they are having a "fling," even though Chavanne has denied those claims and insisted that they're just good friends. She reportedly said in an interview with Gente: "Never in my life did I intend to use a famous person to make myself be known. I'm not that type of girl, I prefer to be reserved... Honestly, we have good chemistry and he helped me out a lot in his country." But, of course, rumors shall fly as they are wont to do, and even if Chavanne insists they are only pals, obviously when two beautiful people are spending time together, people get suspicious. Bernal hasn't made any comments about the rumors, because probably he's too busy being incredible on screen and as an activist. It looks like we'll just have to wait until awards season gets into full swing to see if the Motorcycle Diaries star shows up with anyone. The Golden Globes air on Sunday, so maybe Bernal will finally lift the veil just a little and bring Chavanne along, so we can all gently be jealous of her while hoping she is enriching his life. He deserves the best.